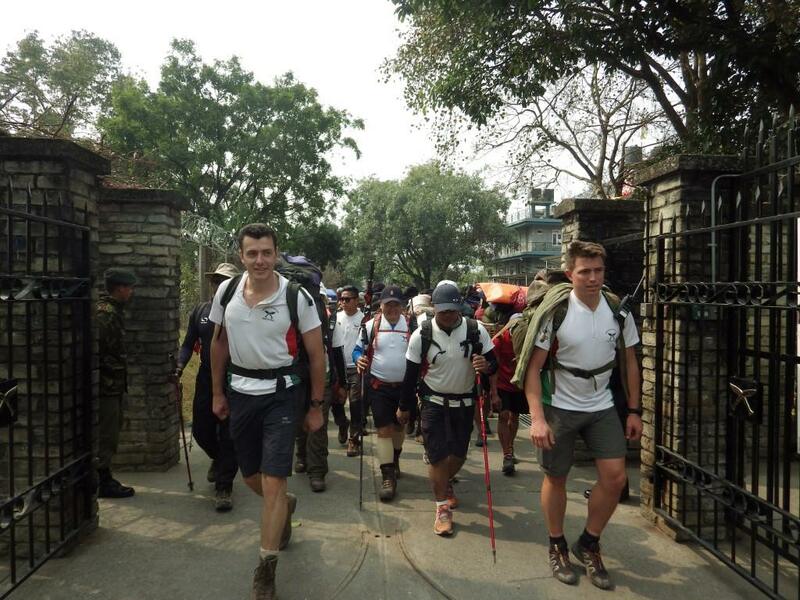 Last year many of the Brigade porters lost loved ones and homes from the devastating earthquake that struck Nepal in April. 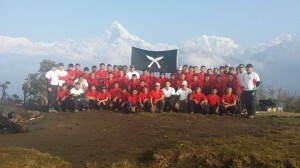 Following the earthquake the loyalty of the Brigade’s porters was unquestionable. 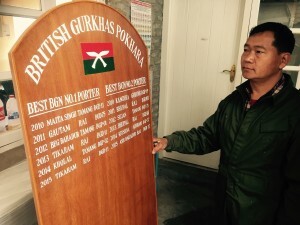 Despite their own personal sufferings, many rallied to help the Gurkha Welfare Scheme, assisting them to visit earthquake-stricken areas and provide vital aid and equipment to those most in need. 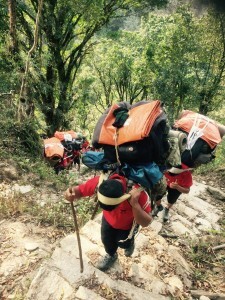 Many of the Western Nepal porters originate from the district of Dhading and a huge number lost their homes in the village of Rigaun. 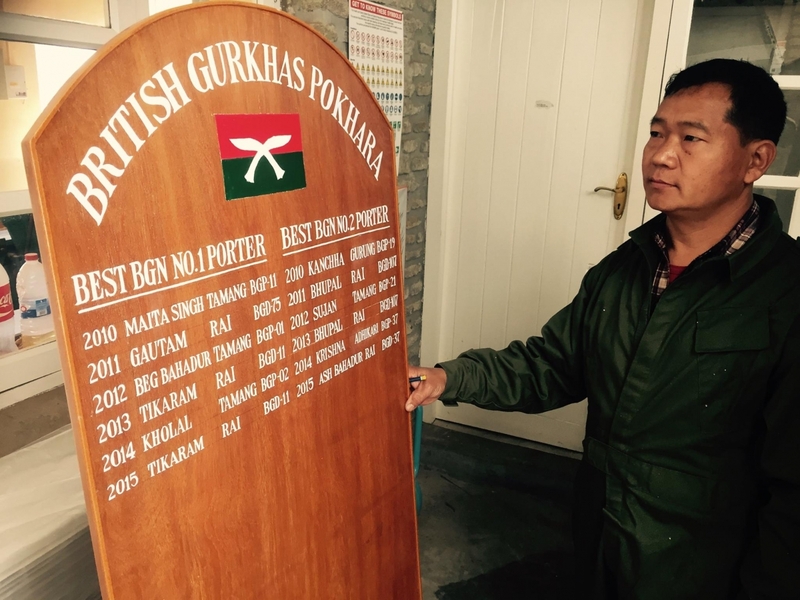 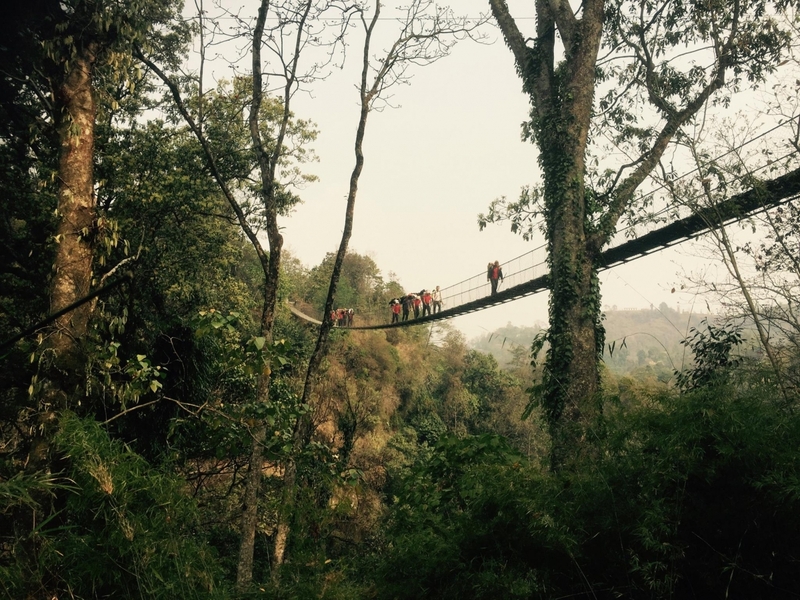 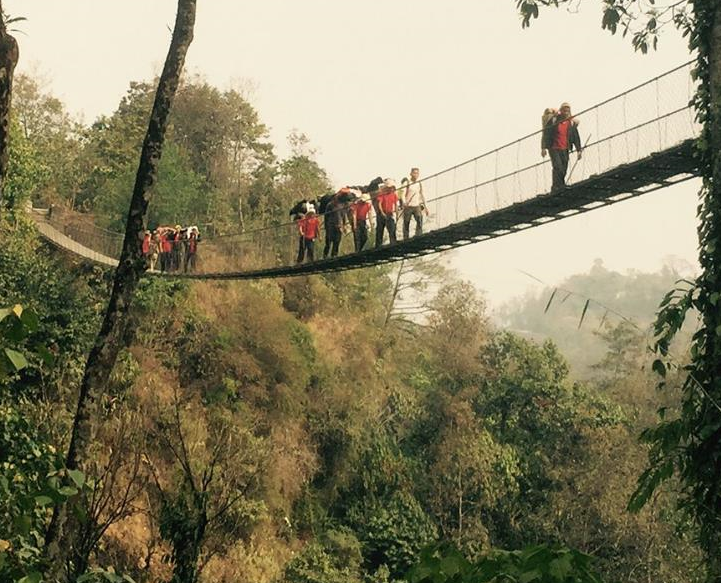 The porters who are locally employed casual labourers, employed by British Gurkhas Nepal, have had a very difficult year, but British Gurkhas Pokhara provided them with their annual refresher training, reuniting the team and hopefully gearing them for easier times ahead. 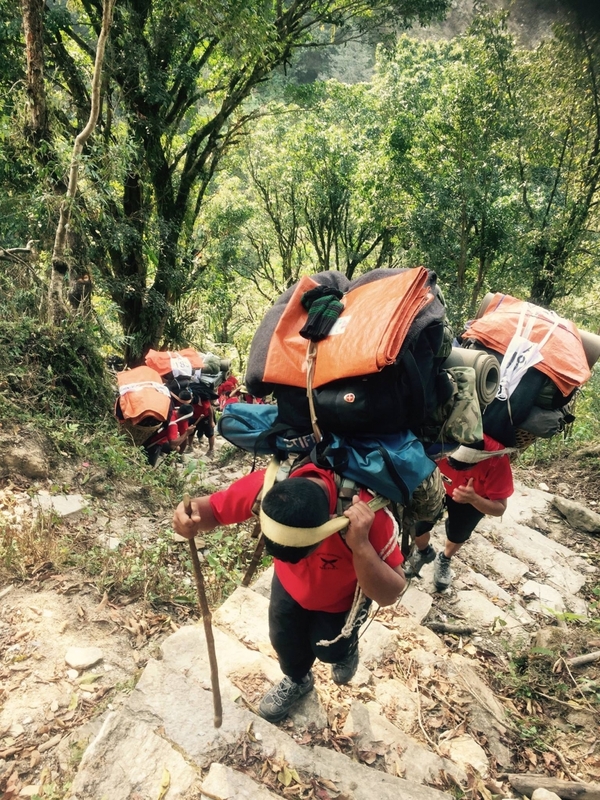 The training involved trekking the foothills of the Himalayas, carrying an average of 35 Kgs in traditional ‘Dokos’ (wicker baskets used by porters to transport goods in Nepal). The porters trekked up to 3168m and along the way stopped to conduct first aid training, select and set up camp sites, and practice their cooking skills. 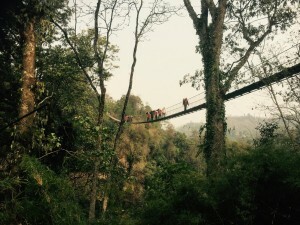 The Gurkha Welfare Trust, who are are doing fantastic work to help the people of Nepal recover following the earthquake, are also helping those areas in Dhading that were badly affected.